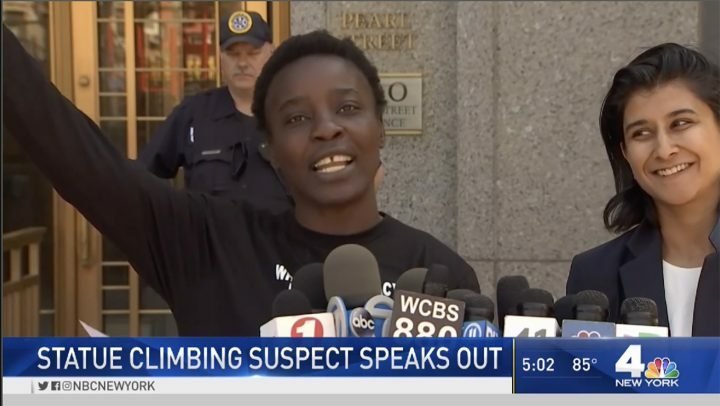 On the Fourth of July, Therese Patricia Okoumou climbed the Statue of Liberty to give voice to her fellow immigrants. On July 4, naturalized citizen Therese Patricia Okoumou climbs up the Statue of Liberty, which was once a deep brown and has now, due to time and weather, turned into the color of money. After protesting the detention of immigrant children with the organization Rise and Resist on the island, she made the choice to scale the statue, carrying the emotional weight of the lives of her fellow immigrants, some of whom are unable to fight for themselves, on her back. In the drive for more intersectionality in feminist movements, there is a need to show up and show our faces for the causes we hold dear. As a woman of color, I acknowledge that facing poorer health and economic outcomes cause my sisters and me to make hard choices with limited resources. The leaders of the Black Lives Matter or #MeToo movements shouldn’t surprise us; Black women can make decisions and have agency. In larger society, we are practically invisible outside of being the help, so we have to learn to see ourselves. Recent events have convinced me that our relative invisibility in the eyes of society is in fact a superpower that women of color can either choose to use or not. And those who have the volition to act on the behalf of themselves as well as others — like Okoumou, Auntie Maxine, or Bree Newsome — are superheroes. We women of color are uniquely placed to see the world in a harsher way than most others. Those who want to speak out on it have found the extraordinary strength to do so in effective, significant ways. While out of sight, we are granted the space to bring our ideas for freedom and justice out in the open, right when it’s far too late to stop us. Invisible while serving the rich, poorer women of color tend to see all of the dirty laundry, weak spots, and disadvantages, simply because no one really feels that we are important enough to notice. We’re the help. The security guard by the door. The descendants of slaves, or share ancestry with those who are. The one who cleans up afterwards, fired first, hired last. 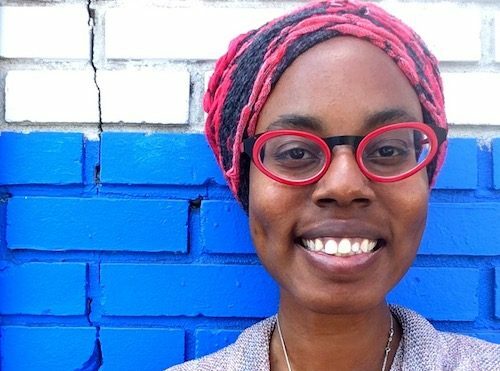 Okoumou is, by profession, a freelance physical therapist, a job that pays well, but it is a job that makes her and those in similar support positions more likely to be harassed by her clients, where a sense of compassion can be used against her. No one really talks about the labor violations that freelance workers face in the workplace, especially those who are female, foreign, and of color. They are, once again, invisible to the wider lenses of society and pop culture. During her time here in the United States, Okoumou has had mixed results with fighting for her own rights — filing three lawsuits against employers for racial discrimination. I believe these events have given her the experience and the courage to speak truth to power, and to stand strong despite the results. 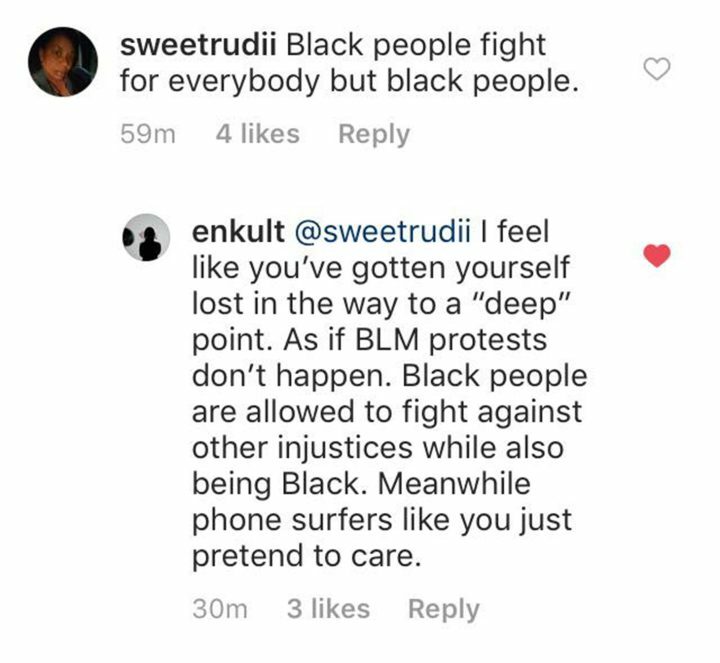 In one Instagram post by @dopeblackness, some Black women have said things such as “Black Women, stop being martyrs, unless it’s for other Black women. It will never be returned.” Unfortunately, that point of view has been proven true time and again, most recently with the slow support that BLM has gotten in the higher branches of government. However, I cannot imagine how any Black woman — who carries the generational trauma of having children forcibly taken away and sold far away — could truly stay indifferent. I can’t understand the people who don’t realize that there are those of African descent, from Latin America and the continent, facing this horror, too. And it’s only fitting that it was a Black Woman from Africa, whose migrants drown in the Mediterranean half the world away on a regular basis, who decided to stand up. Maybe she advocated for the rights of these children because indifference is simply unthinkable. Okoumou has received widespread support for her brave actions, notably by other Black women. BadNewsWomen, a social media blog run by artist Elizabeth Axman, posted a screenshot of a tweet by @TheNYCFilmChick, saying, “My Girl is perched on the STATUE. OF. LIBERTY. Pink sneakers, legs crossed, giving the side eye…Black women are amazing.” Another artist, Sienna Shields, has offered to send art to those who donate to her legal fund in her private Instagram feed, reposted on my timeline. Besides being a performance of protest, her presence there, alongside the Statue of Liberty, was a rallying cry, feeding our spirits. And she didn’t just do it for the children — she was also representing herself and her right to self-expression. Okoumou, who is the kind of woman our society refuses to give a voice, revealed herself and her power to stand up to the Statue of Liberty. She is my hero. Therese Patricia Okoumou! An ode to the badass activist who climbed the Statue of Liberty on Wednesday, July 4th in protest of US immigration policies. Today she plead not guilty to the charged federal misdemeanors of trespassing, interference with government agency functions, and disorderly conduct. Her next court date is August 3rd at 10am at 500 Pearl St, NY. If convicted, Okoumou could face up to six months behind bars on each count. I am more than happy to share this graphic if anyone would like to use it for demonstrations/support of this woman!